Since I began blogging, a few years ago, my family tree has grown. In that time frame, I have acquired a daughter-in-law, a son-in-law, two more grandsons and a granddaughter. Now, it breaks my heart to say the first leaf has fallen from my direct lineage. 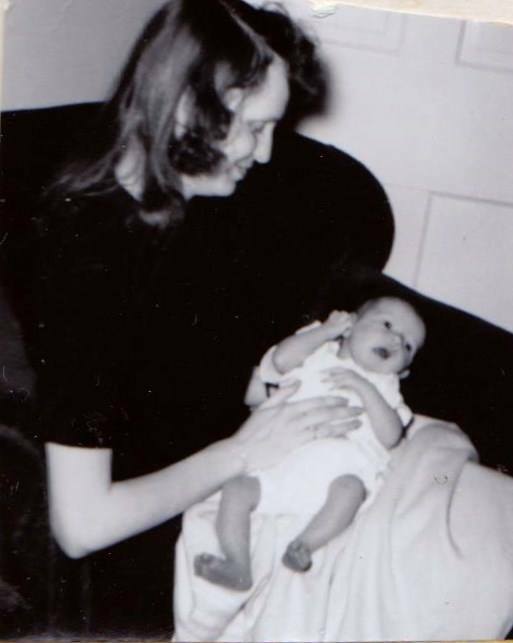 My mother passed away on June 12, 2016. She was 77 years old. While that seems like an average life span, I still feel it was far too young. My mother was born and died in Albemarle, Stanly County, North Carolina. She did not live her whole life there, though, as I was born in Pennsylvania. Known as "Joyce" she was a strong and amazing woman. Her quirky personality and endless, silly, sense of humor endured until her last days. My mother was the 5th Great Grand daughter of Job Davis. He was her Grandfather's Great Grandfather. Nancy “Joyce” D. Thompson, 77, of Albemarle, passed away Sunday, June 12, 2016 at her home. Her funeral service will be 2 PM Tuesday at Albemarle Wesleyan Church with Rev. James Valk and Rev. Ronald Thompson officiating. Burial will take place afterwards at Stanly Gardens of Memory. There will be a visitation at Stanly Funeral Home on Monday from 6 PM until 8 PM. Born March 3, 1939 in Stanly County, NC, she was the daughter of the late Lewis Theodore Davis and Annie Maude Mauldin Davis and was a graduate of Albemarle High School, class of 1958. Mrs. Thompson, along with her husband Robert, were part of the original founders of GHA. She was married to Robert W. Thompson of the home. Survivors include one son, Eric W. Thompson of Albemarle; two daughters, Tammie R. Hudson and husband Allen of Albemarle and Nancy L. Thompson of Albemarle; Grandchildren: Kayla Hudson Fraley and husband Anthony of New London, Brandon W. Rabon of New London, Amista “Misty” Heinrich and husband Joe of Mt. Gilead, NC, and Benjamin A. Rabon and wife Tracy of Faith, NC; Great-grandchildren: Elias Heinrich, Owen Rabon, Linus Rabon and Felicity Fraley; one brother, Lewis Douglas Davis and wife Peggy of Albemarle; one sister, Sylvia Davis Eudy and husband Doyle of New London; a sister-in-law, Shirley Davis; a special cousin, Susie Dunn; and a special friend Leah Wagner of New London. She was preceded in death by a brother, W. Kenneth Davis. Memorials may be made to GHA – Autism Supports PO Box 2487, Albemarle, NC 28002. I am so sorry for your loss. Your blog is inspiring to many of us. I feel your mother must have been very proud of you. Job was my 4th G-grandfather.